After suffering a humiliating military defeat on the morning of 27 February when Pakistan shot down two of its MiGs that violated the country’s airspace and even captured one of its pilots, India went wild trying to distract its population by switching the subject of discussion to allegations that Islamabad violated the Geneva Convention of 1949 by airing footage of the captured pilot, but in reality Pakistan actually confirmed its adherence to this cornerstone of international law and simultaneously contributed to de-escalating the worst military crisis with its nuclear-armed neighbor since their 1971 war almost half a century ago. “Pakistan Turned The Latest Bollywood ‘Surgical Strike’ Flick Into Reality” on the morning of 27 February after it upheld the rules-based international order centered on the UN Charter’s principles about territorial integrity, sovereignty, and the right to defend oneself against aggression when it shot down two Indian MiGs that violated its airspace and even captured one of the pilots. 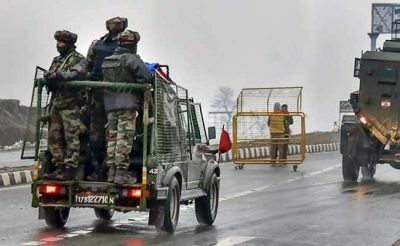 This came as a total shock for the Mainstream Media-indoctrinated Indian masses who had mostly been convinced up until that point that Prime Minister Modi had “succeeded” in “putting Pakistan in its place” after “surgically striking” it on the unsubstantiated pretext that Islamabad was involved in the Pulwama attack. As the clichéd saying goes, “the truth hurts”, and the proverbial “bloody nose” that Pakistan gave India risked exposing the latter’s government-driven narrative as nothing more than pre-election propaganda for the incumbent BJP, which is why the state swiftly moved to distract the population as soon as possible. Instead of taking responsibility for bringing the two nuclear-armed neighbors closer to all-out hostilities since any time after their 1971 war almost half a century ago and accepting the peacemaking overtures that Pakistani Prime Minister Khan maturely extended to his counterpart from a position of strength, Indian media obsessed over spinning video footage of their captured pilot as an alleged violation of the Geneva Convention of 1949. According to their weaponized narrative, Pakistan broke its commitment to this international pact by releasing footage of the captive, which Indian commentators claim was in contravention to Article 13’s clause specifically mandating that “prisoners of war must at all times be protected, particularly against acts of violence or intimidation and against insults and public curiosity.” While it’s debatable whether the pilot is actually a true “prisoner of war” or not, the Director General of Pakistan’s Inter-Services Public Relations confirmed that he’ll be “treated as per norms of military ethics”. The problem, Indian pundits say, is that the footage of the captured pilot being saved from a local mob by the military, shown safely in custody, and then happily drinking tea supposedly made him a so-called “public curiosity” and is “proof” that Pakistan violated the Geneva Convention. Nothing could be further from the truth, however, since those three videos actually showed that the captured pilot is being treated in full accordance with the Geneva Convention and therefore contributed to de-escalating tensions with India. The Pakistani Armed Forces literally saved his life by rescuing him from a local mob, showing the world their principled commitment to international law that they were willing to also risk their own lives and potentially – if the situation came to do – also use non-lethal force or worse against their own enraged countrymen to ensure the safety of the Indian pilot. That says a lot about Pakistan’s military professionalism and was a proud moment for the country. The second video showing the captured pilot standing while in custody was evidently meant to reassure the world that the prisoner was successfully brought to a safe space where he was no longer at risk of harm. This was important to signal because Pakistan preemptively thwarted a dangerous infowar escalation from the Indian side by doing this and confirming that the pilot was not only still alive, but in good enough of a condition to stand and say a few words. It’s very likely that had that video not come out as soon as it did, India – which “has more fake news than anywhere else in the world”, as confirmed by a recently released independent report by Microsoft – might have started disseminating fake news and possibly even edited video clips claiming to “prove” that he was “killed” and his body “mutilated” in order to “justify” forthcoming military moves that would have unquestionably escalated the situation. It’s possibly because of how well he knows his countrymen’s mindset that the Indian pilot voluntarily chose to go on video and send an important peacemaking message to them and the rest of the world, all while calmly sipping tea that his Pakistani captors generously gave him. He said that “I would like to put this on record, and I will not change my statement if I go back to my country also. The officers of the Pakistani Army have looked after me very well. They are thorough gentlemen, starting from the captain who rescued me from the mob, and from the soldiers, and thereafter the officers of the unit which I was taken. This is what I would expect my army to behave as, and I’m very impressed by the Pakistani Army.” Had one expected this footage to be aired far and wide by Indian media, they’d be mistaken, since it’s actually being censored by the state. “The Economic Times” reported that Indian security officials “said on Wednesday that the videos of the captured Indian Air Force pilot were being released on the internet as part of a psychological operation against India and netizens should desist from sharing them on social media”, adding that “It is aimed to demoralise the forces and people.” Because of this, media outlets have refused to share those three videos with their audiences, intending instead to continue fanning the flames of war as part of Modi’s re-election campaign by alleging that the captured pilot is being “mistreated” and that the Indian Armed Forces must promptly take revenge. As most state-driven policies of censorship have a tendency for doing, however, this is backfiring on India because all international media outlets of prominence have reported on that footage and it’s since gone viral on social media, so regular Indians can see that their government’s narrative about Pakistan’s ”mistreatment” of their pilot is false. It’s precisely because the pilot praised the Pakistani Army and proved that his captors even risked their lives in order to save his own that India imposed a strict policy of censorship in a frantic bid to prevent its warmongering rhetoric from falling apart at the seams, hence the latest fake news narrative that Pakistan supposedly violated the Geneva Convention by releasing footage of the prisoner. New Delhi suffered such a humiliating military defeat on 27 February that it will do anything to distract its people from what happened and desperately try to gin up international support against Pakistan on the alleged basis that Islamabad brazenly violated international law despite the Pakistani state actually upholding the UN Charter by protecting its sovereign airspace from aggressive foreign intrusion. As for the weaponized infowar narrative that Pakistan “paraded” him around as a “public curiosity”, the videos actually prove that the country wanted to pre-emptively counter India’s expected fake news campaign about the pilot’s treatment and fate. Yet another Indian infowar narrative is falling apart after the facts once again reveal that the country is pumping out fake news in order to discredit Pakistan and “justify” military aggression against it in support of Modi’s re-election campaign. Not only has no single shred of evidence been publicly presented proving that the Pakistani state was involved in the Pulwama attack nor has anything emerged to confirm India’s incredulous claims that its “surgical strike” killed 200-300 Jaish-e-Mohammed fighters, but the facts actually confirm the opposite, namely that Pakistan had nothing to do with Pulwama and that India’s highly publicized “strike” wasn’t even what it was portrayed as being and certainly didn’t kill a single soul. Likewise, India’s assertion that Pakistan violated the Geneva Convention is also disproven by the video evidence that its neighbor presented but which has been censored from Indian media on “national security” grounds, all in order to keep a “politically convenient” fake news narrative alive ahead of the country’s heated elections.